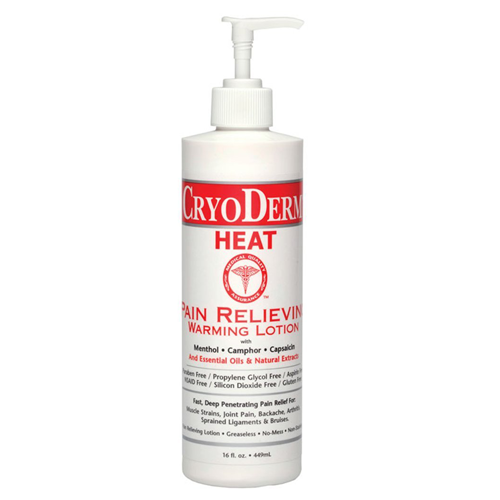 Thermoderm Warming Lotion, Manufactured by Cryoderm, is a uniquely designed to quickly penetrate the skin and reduces pain from arthritis, inflammation, skin irritation, bacteria, and joint stiffness. Thermoderm is a Hot Therapy cream that contains essential oils and antioxidants to promote well-being. The aloe in Thermoderm reduces inflammation and soothes. The green tea soothes and fights bacteria, the ilex loosens muscle cramping, the MSM promotes healthy muscles, the tocopheryl acetate moisturizes, and the yucca aloifolia relieves arthritis. 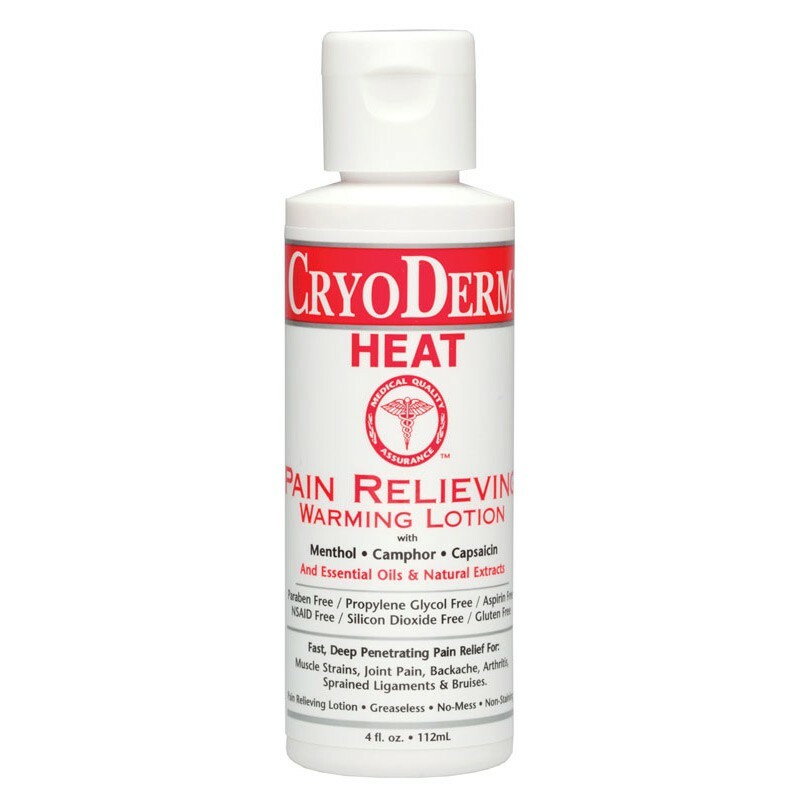 This Warming Lotion is useful for doctors, physical therapists, massage therapists, athletes or anyone with joint or muscle pain. Thermoderm is unique because it warms, soothes, and heals at the same time. 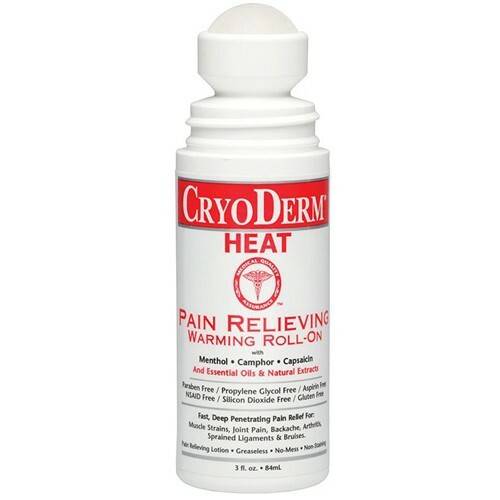 This Lotion quickly relieves deep discomfort with clinical strength. Nice little product. 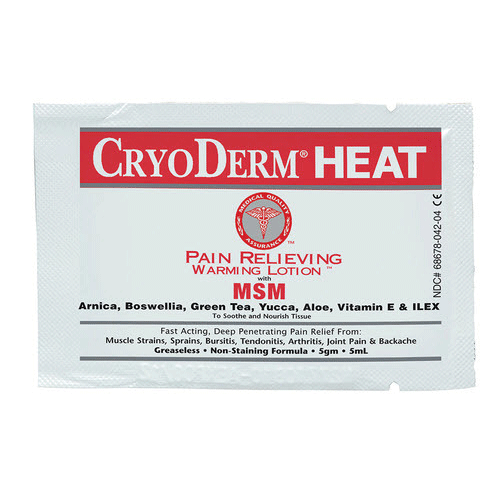 Good for small areas of the body that need pain relief. I recommend ordering the individual packs first before committing to a bigger size. As always, great shipping time.